Born in New York City, Charles Shaw became a significant figure in the history American abstract art. His work was noted for its clarity of form and architectural construction. In the later part of his life, he turned to Abstract Expressionism. Shaw was described as a “wealthy man-about-town, poet and minor novelist” before he began to paint seriously when he was in his 30s. His parents died when he was young, and he was raised by an uncle. He graduated from Yale University and then studied at the Art Students League with Thomas Hart Benton. He also took private lessons from George Luks. 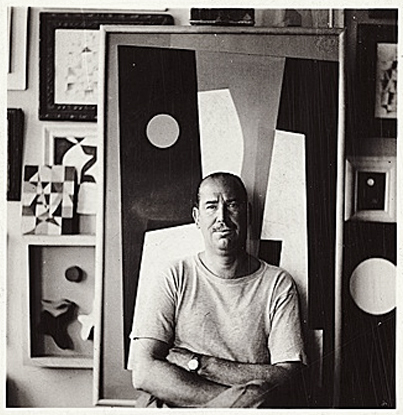 He served in World War I and during much of the 1920s, lived in Europe, writing articles for the “New Yorker” and “Smart Set.” Shortly after, he turned to abstract painting and exhibited in important avant-garde shows.